More people than ever have the need to bring prescription medicines along with them on their cruise. Of course, that brings up the question of how exactly are you supposed to travel with them? With cruises going to international destinations, having to deal with customs, and often flying from your home to the port, there are seemingly several potential issues that may arise with bringing a controlled substance like a prescription along with you. Can you bring your pills in a travel container? Or do you need to bring the original bottles with your prescription? The good news is that you don’t have much to worry about. First, you should know that there are many laws regarding prescription meds, and often they overlap. For example, some state laws require that prescriptions always in their original bottles. That means the “day of the week” pill carriers are a no-no. However, in practice, harsh laws regarding carrying prescription drugs are rarely enforced unless you are doing something out of the ordinary (such as carrying an unusually large amount for longer than your trip). That means however you decide to pack your medicines is usually ok.
What about the cruise lines? Do they have policies regarding the packing of prescriptions? Not many. They are mostly concerned that you bring any prescriptions with you for your entire trip. After all, if you run out of your medicine in the middle of your vacation, it’s tough to get that prescription filled. 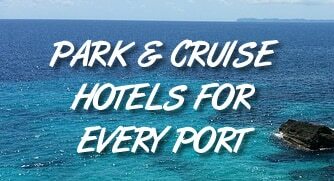 At the end of the day, the cruise lines and the ports they serve all want to have people visit. That means they want to make visiting as positive an experience as possible. As long as you aren’t acting suspicious in the medicines or amount that you carry, then you aren’t likely to run into any trouble. If you are someone who likes to play it safe, then the best thing to do is bring all your pills in your original bottles on your cruise, along with the prescription from your doctor, if possible. But for those packing in a “day of the week” case or some other pill holder, you likely won’t face any problems. You can call your cruise line to ask if you aren’t comfortable. One more note: Be sure to carry all prescriptions in your carry-on bag. This way, if something happens to your luggage, you’ll still have your medicine with you. Also, to stay on the safe side, only bring what you need for your trip. Carrying large quantities of medicine (far more than what’s needed for your trip) may raise suspicion that the pills aren’t for personal use.